Manchester Door Supervisors, Event Security, Venue Security. We are highly regarded by Police Forces, Local Authorities, and the Security Industry Authority for working towards reducing crime and disorder in and around licensed premises. We continuously endeavour to meet the ever changing requirements and needs of our clients, offer competitive rates and have extensive resources to guarantee your requirements are fulfilled. Spartan Security endeavours to employ both male and female Door Supervisors with previous industry experience to ensure the venue or location they are deployed to is under safe supervision. Spartan Security are quality providers of licensed door supervisors, offering security services to all areas of the licensed industry from small bars, pubs and restaurants to clubs and larger entertainment venues. 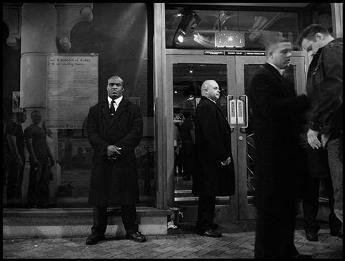 Here at Spartan Security, our highly trained, licensed Door Supervisors are ready to adapt to any given situation at any given time. All our staff are trained to resolve situations in a non-confrontational manner, wherever possible, but they will not tolerate and are committed to prevent any manifestation of intimidation, aggression, violence or bigotry at our clients venues.